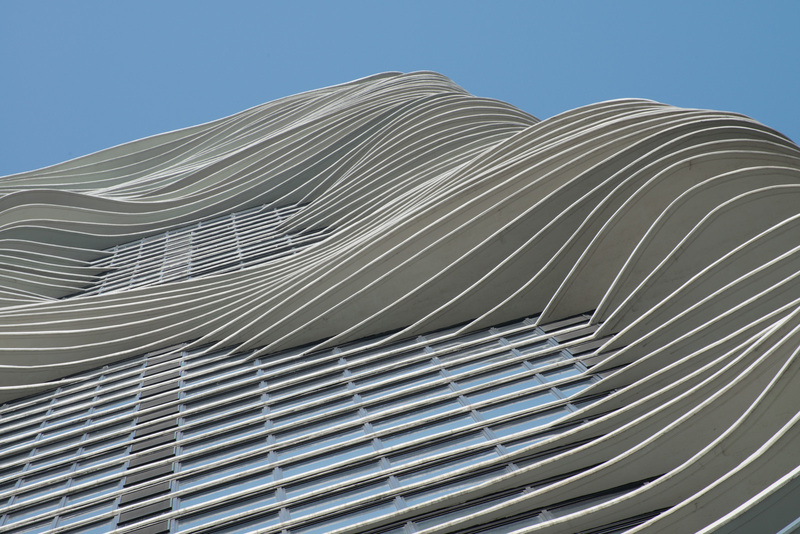 This is the second in a series of shots of Aqua Tower that I took on a recent trip to Chicago, Illinois. The most distinctive feature of this building is the undulating surface created by the irregular shaped floors. The building was designed by Studio Gang Architects, and on their website they have a video which illustrates the concept behind the design. The building is located in an area which contains several other tall buildings around it. However, there are still angles from the building which provide views to some interesting areas of Chicago. The various bulges in the building provide views from balconies that would not be possible without the extra ‘bump’. Of course, the bulges also create a unique piece of architecture as well. 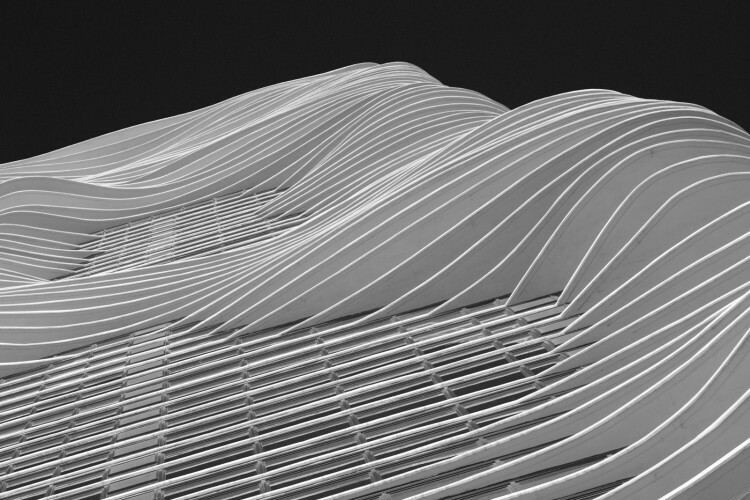 This shot once again focuses on the undulating shape. The conversion to black and white was fairly simple and done in Lightroom 5. To my mind, the converted image gives the appearance of a computer generated topography, possibly on the moon or some other planet. Of course, your mileage may vary. For more Aqua Tower images, please visit my Aqua gallery at Fine Art America. Loving your images from this building James. Well done. Thank you! I have a couple more coming up over the next few days. Beautiful abstract, James. You captured a perfect angle. Nice one! Thanks! It’s a fun building to shoot.